The wind coming from the west… is killing. 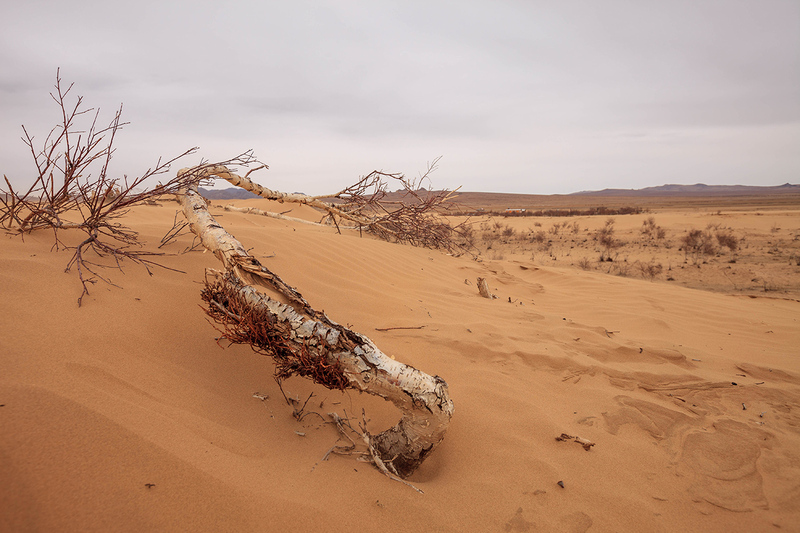 The wind is strong here in Mongolia, because the steppe is too wide… stretching all the way to it’s neighbour, Kazakhstan. I’m fighting the wind everyday and riding towards the west seems not a really good idea. I was cycling at the speed of roughly 10km/hour on a flat land. 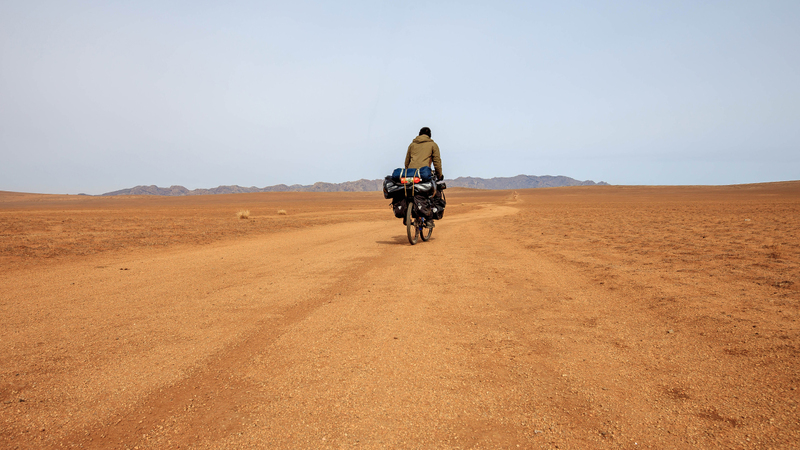 Sometimes I turned back and tried to cycle east back towards Ulaanbaatar to see how easy it is. And I was flying! 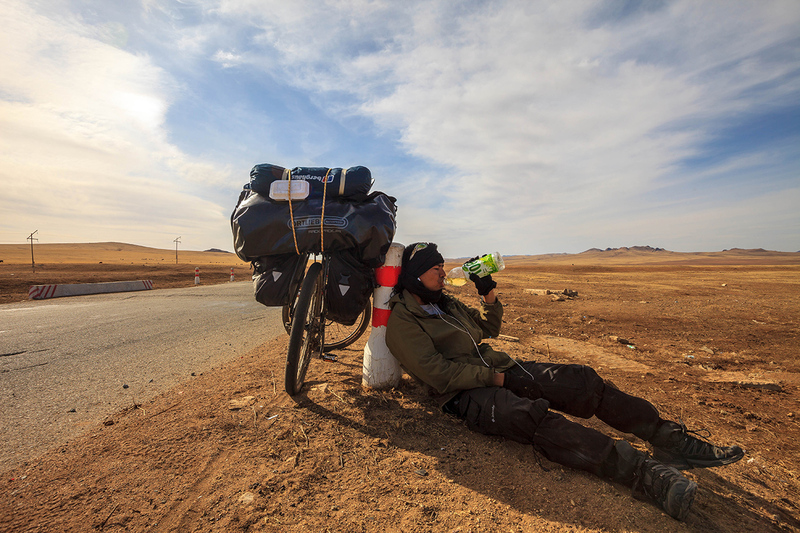 I wonder how the fearsome Golden Horde led by the mighty Genghis Khan rode all the way to Hungary to conquer all the land… while I was struggling even to conquer 70km in a day with the strong wind. I wish they had internet back then.. so maybe Genghis Khan would have his own wordpress blog and write it all down… so that I can read it and get some of his tips. 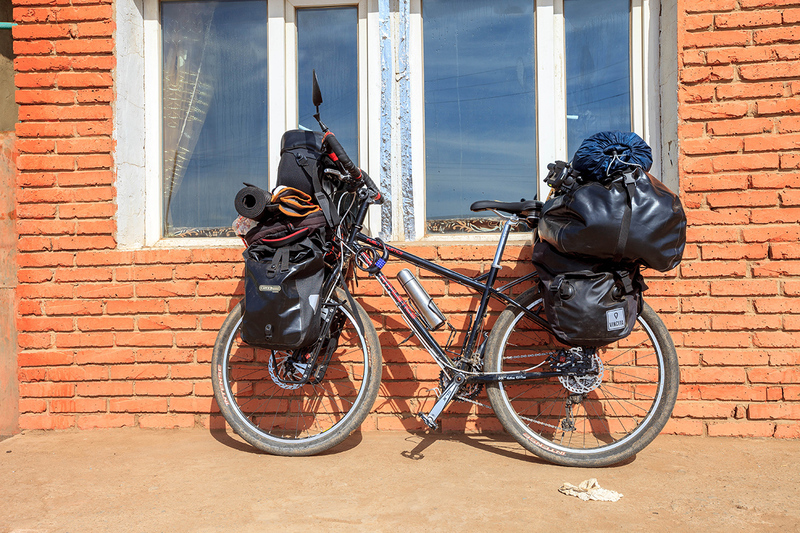 I rode through vast plains, village to village, ger to ger. 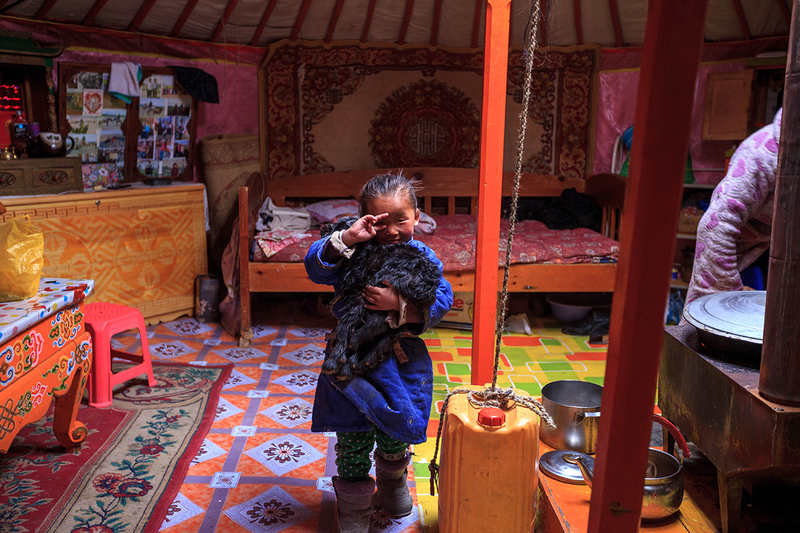 The landscape is a mixture… something between the Siberian grassland and the Gobi desert. I was really in the middle… between the Gobi and the Siberian plateau.. roughly around 1900 meters of altitude. Sometimes its sand… sometimes its grass. I passed by another small village called Rashaat where I stayed a night under a roof by the help of a kind local police. There I met a group of men who faces are familiar. 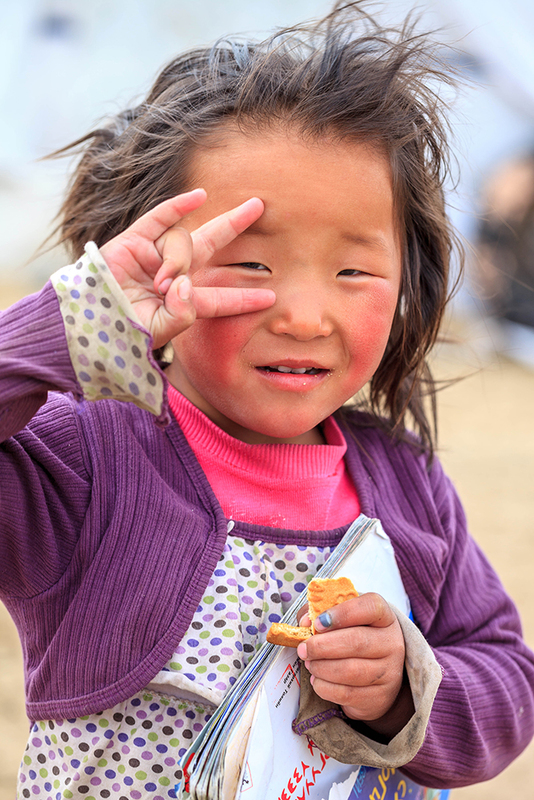 And they speak a language which is familiar to me… a mixture of Kazakh and Russian. Instead of saying Sainbainuu, I said Salam alaikum to them, and I heard all of them replied back Walaikum salam. We shook hand and became brothers. They then took turn and jumped on my bicycle to get their photos taken. They were curious and surrounded my bike. Asking me whether Im going to ride all the way to Astana in Kazakhstan. I told them I will skip Kazakhstan this time and ride down to Tajikistan instead. They told me not to go since there is a war there. Hehe… I think they were referring to the civil war that happened in the early 90s. 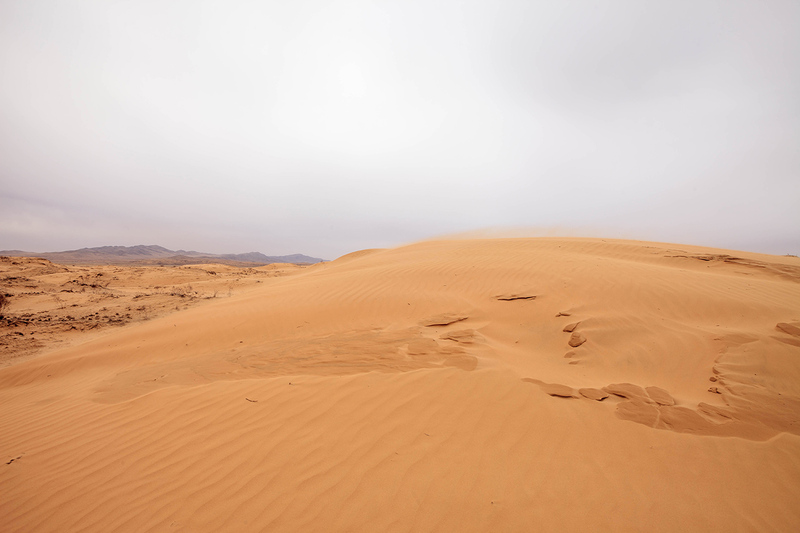 I then continued west until I found nice sand dunes not far from the road. 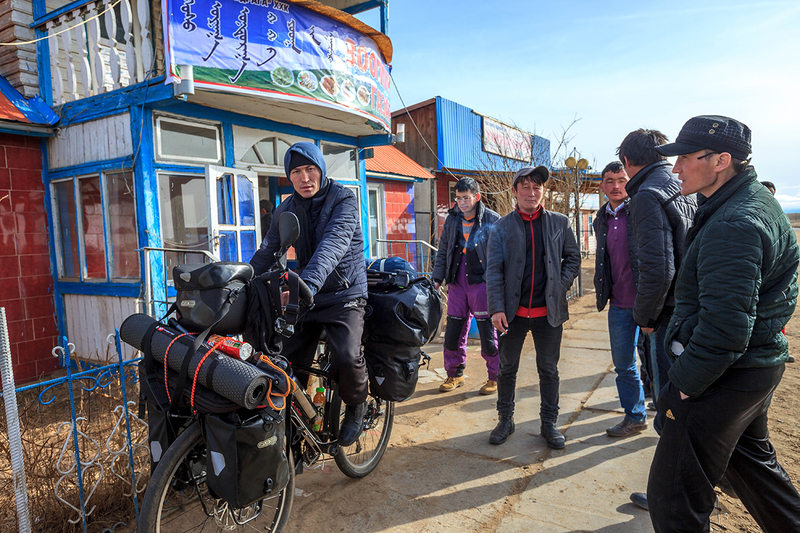 I cycled around the area and was approached by a Mongolian man on a Chinese motorbike… asking me if I wanna stay in his ger with his family for a night for 8000 tughrik. The blue sky was gone… hiding under the thick clouds… not a good sign. I then agreed and seek shelter inside his ger. Took a good afternoon nap for an hour before went exploring the sand dunes. The wind was getting stronger and stronger… I even find it hard to breath sometimes. The sand was too soft… I climbed 3 steps and fell 2 steps… took me forever to reach the top of the dunes. I didn’t see the sun anymore.. it was getting darker and the wind was blowing angrily. I then just stayed inside the ger with the family for the night. They served me some noodles with yak’s meat…. not as good as nasi lemak ayam rendang of course, but when I’m starving… I can eat a man. 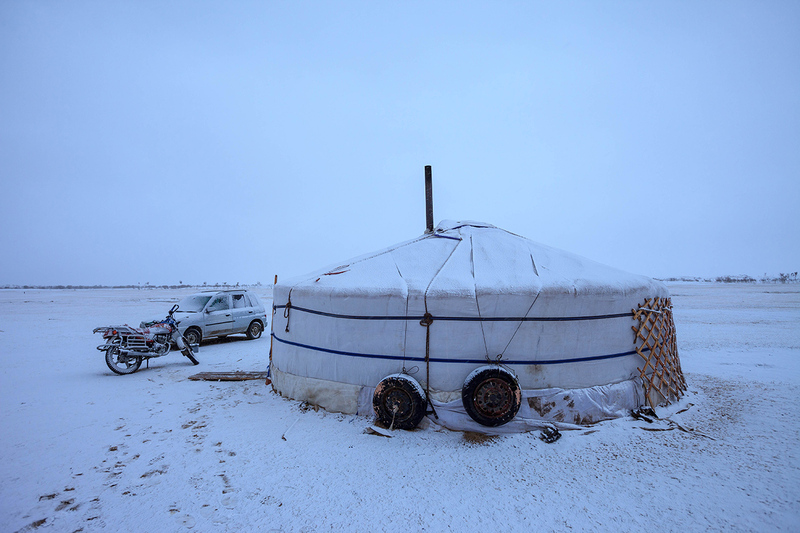 After a good sleep for the night… I woke up and went outside the ger… just to discover that the landscape of the steppe has turned white like a toothpaste. It was snowing lightly but the wind was really strong. It gonna be one hell of a day to fight the wind! I then had a good breakfast, packed up and get back on the road. The road was covered with thin snow powder at first… no problem. Then at some point… it was icy. 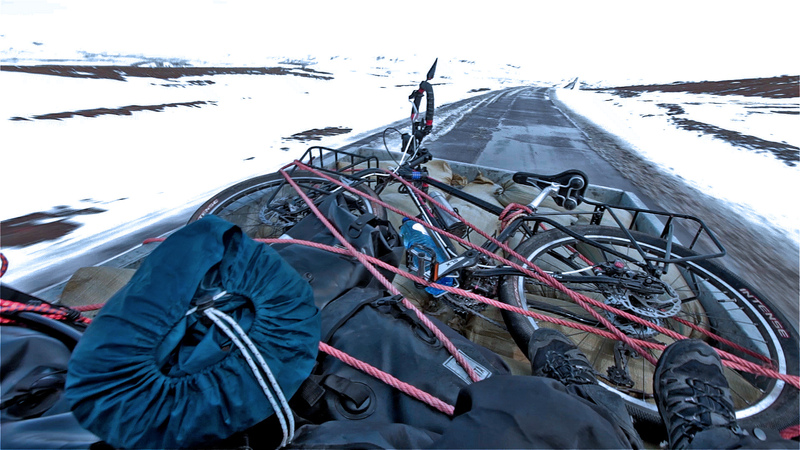 Now I miss my spike tyre that I used in the Arctic… where is it hah? I was like doing some ice skating stunts on a fully loaded bicycle. Except that there were no spectators… only cows and sheep were watching me struggling… probably they were laughing at me. The wind was blowing from my right at first, until I reached a junction where I should turn right to Karakorum, that’s when I had to fight the wind head on. I don’t feel good when I made that turning, I was deciding whether I should continue and wait another day until the wind stop blowing… because when theres storm, usually it takes a whole day… but I chose to continue… bad idea…. I kept cycling and fighting the wind… but the wind was getting stronger… and I was getting weaker and weaker. After 2 hours of fighting… I began to stop every few minutes… eating and drinking hot milk tea. For 2 hours of cycling, I covered only about 10km. I then got slower… and I was in the middle of nowhere. I still have another 50km to go. I couldn’t do anything. Almost impossible for me to pitch my tent… my tent will be blown away by this fierce force of nature. 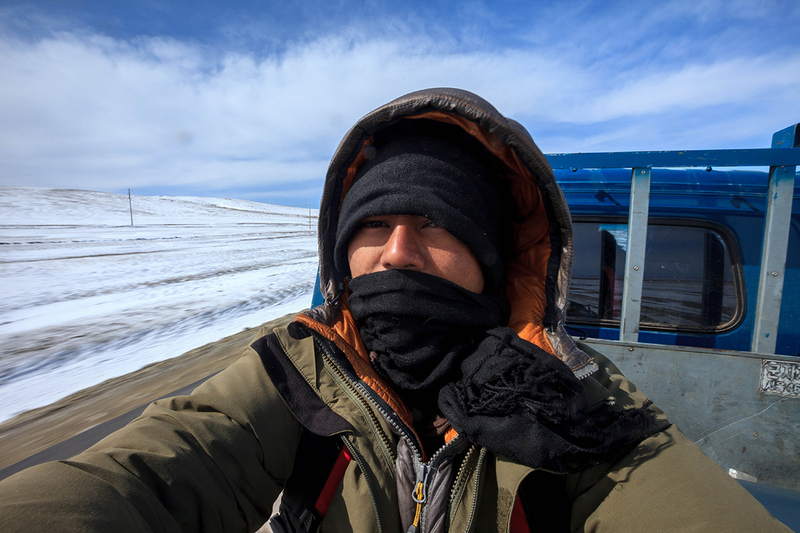 The wind blew stronger, my covered face was hit hard by sand and snow until I had problem breathing. I then just stopped cycling… stood still on my bicycle and just looked down trying to breath and nothing else. I was just concentrating only to breath. All I know was to keep alive… to keep breathing… I then began to seek help from no one but the Creator of All. Don’t know why… magic things happen. Maybe the Creator of the Universe heard my prayer… only after a few minutes I was struggling to breath… a truck passed by and stopped in front of me. They told me that they could send me to Karakorum since they were heading the same way. And it’s dangerous to cycle in this weather… so they got me and my bicycle on the truck… and in less than 2 hours, I reached Karakorum. I felt so thankful. Finally after so many days… I got the chance to take hot shower and sleep in a proper bed with a soft pillow… like a boss!! approaching Karakorum. finally bluesky… but the wind still strong! Bro, i think you must have some contigency plan of sort, as one must not push one’s luck too far. One day your luck has to run out. Yeah, it is exactly Mongolian spring season. 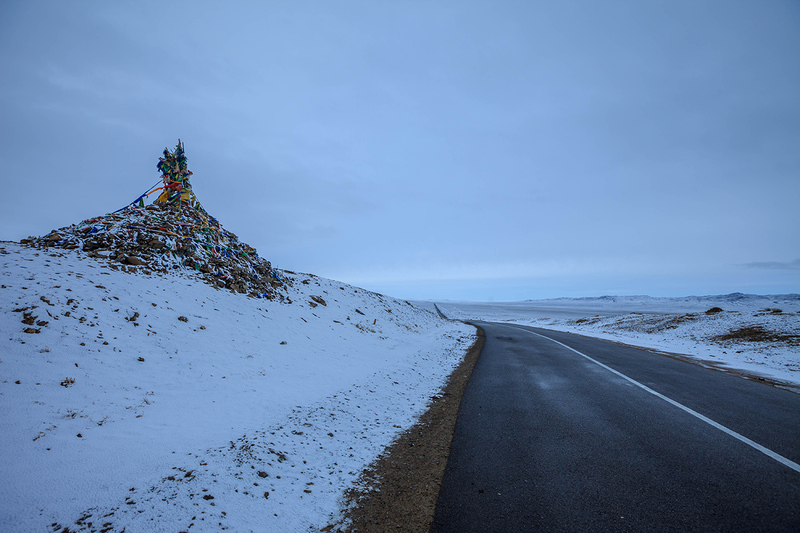 When was snowing and storm in the countryside, about 200-300km away in Ulaanbaatar was raining. But you negotiated it although something or someone helped to be there safely. I think you have guardian angel watching you. Thank god you are safe. Take care ok! Salam brother. I think you are right about the cow laughing at you. That’s why there is a laughing cow cheese! :-) Don’t worry, keep pedaling. Nothing will happen to you unless if Allah wills it. That’s the strength of us the believers.